Babby hanging out with her old man. 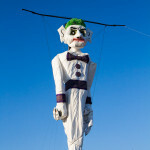 iPhone pics from Zozobra last night. Good times.